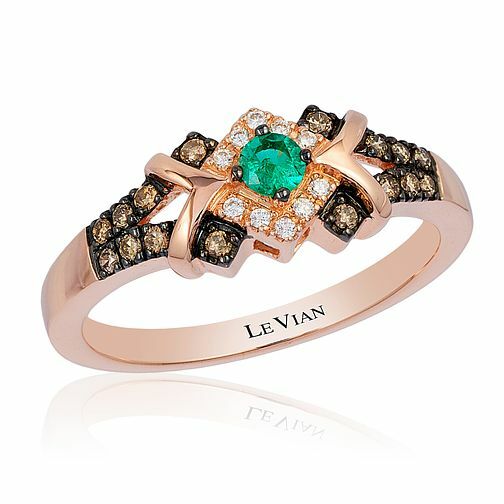 Indulge in the elegant beauty of Chocolate by Petite Le Vian. This stunning ring is crafted from sumptuous 14ct Strawberry Gold and has a vivid Costa Smeralda Emeralds set at its centre. Surrounded by deliciously dazzling Vanilla Diamonds with Chocolate Diamonds set across split shoulders, this ring showcases breathtaking beauty and unique, glamorous style.